I played ice hockey in high school and oftentimes would get a ride with a friend in what can best be described as, a soon to expire jalopy, to our 6 a.m., before school practices. 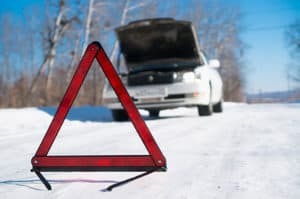 On one especially blustery, winter morning we were about half way to the rink when his car began to jerk and shake violently before coming to an abrupt stop on the shoulder of the highway. It turns out he had not been exposed to, or bought into, the art of vehicle maintenance and neglected to change the oil. Turns out that websites are similar to cars in that they require regular maintenance to keep them working properly. Neglecting website maintenance is a lot like not performing regular oil changes on your vehicle. As we just learned, your car won’t drive very well for very long if you don’t look after its maintenance and the same is true for your website. Your website should always be live and accessible for your users and customers to present your brand at its finest. We’ve all seen them, websites that were launched years ago with a promise in the solitary blog post of the site that the users should check back soon for more updates. It’s very common for a website to go through a thorough design and development process but to launch with no thought or plans for the future. After time, the website collects more cobwebs than customers. Having a website without a regular maintenance plan carried out on a monthly basis is like throwing money out the window. If visitors go to a website and find things that are wrong or don’t work exactly the way they should, they won’t typically stick around long. Sadly, many website owners never check their website on a regular basis to see how it’s functioning. Websites that have missed issues or downtime can lose you potential customers. The strategy, design and development of your website are certainly very important parts of the equation but equally important is what happens after the site is launched. Sadly, many people don’t realize how beneficial website maintenance is. The performance of a website (it’s load time, downtime and uptime), is dependent on the WordPress software functioning the way it should. Part of this is staying up-to-date with the latest version of WordPress as well as using only high-quality plugins and keeping them updated. A website should be thought of as a living, breathing thing. Sometimes it helps to think of your website as an extension of your brand, or even as an employee of your company. You wouldn’t hire an employee and then have them go sit in the corner collecting dust and proclaiming to people that they are “Under Construction” and that you should “check back soon for updated content”. If your website is an employee then shouldn’t it be working for you? A website’s growth depends on fresh content, analytics monitoring, strategic design changes and more. Oftentimes companies are not suited to handle these challenges on their own and having someone to depend on to make sure all updates to the website are done in a smooth, error-free manner. At Mostly Heroes, we take great care to backup your website, and check it after running updates for any issues. Our software keeps a record of plugins we update so if there is ever an issue a support ticket will be created and we can address it before you ever realize there’s a problem. We can see what plugin version was changed and revert back to the last stable version. Also included in our monthly maintenance plan are performance and security scans to be sure your site is operating efficiently and securely. Sure, you could click on the “Upgrade WordPress” button and update your software version but what happens if something goes wrong? If you update your version from your WordPress admin you wouldn’t have a record of what was done. If an update to a plugin caused an issue a couple weeks later it would be very difficult to track down what things changed and how to revert back without restoring to a very old backup (if one even existed). Not too mention the possibility of losing content changes, sales orders, contact form submissions, you name it. To sum it all up, trying to maintain your website yourself could end up costing you a lot more than you may think. Lack of experience and neglect can damage the functionality and design of your website. If and when that happens, there is a big decision to make. One, you can try to fix it yourself, in which case you could possibly cause further damage. Or two, you can pay the (sometimes hefty) price for someone experienced to fix it. A website, just like a car, costs more to fix than it does to maintain. Regular oil changes, tire rotating, etc. help keep your car running the way it should. In the same way, regular site maintenance helps to keep your website running properly the way it should. You wouldn’t think about going to court to fight a legal battle without a lawyer, so why try to maintain your website if you are not a web professional? To put it directly, why not deal with what you know best and let us deal with what we know best? By securing an experienced web professional to maintain and update your site properly you are actually protecting your site from potential lost sales and visitors. If you are interested in securing a maintenance plan for your website, contact us to learn how we can help keep your site in great working order going forward.